Five Elements Theory is a Chinese philosophy used to describe interactions and relationships between things. The five elements — wood, fire, earth, metal, and water — are believed to be the fundamental elements of everything in the universe between which interactions occur. Five Elements Theory first appeared during the Spring and Autumn Period (770–476 BC). It became widespread: mostly used in Chinese medicine, philosophy, fengshui, fortune-telling, and martial arts. Each element has its own characteristics and associations with different aspect of nature, such as direction, season, color, shape, and so on. See the tables below. Five Element Theory asserts that the world changes according to the five elements&apos; generating or overcoming relationships. Generating and overcoming are the complementary processes — the yin and yang — of Five Element Theory. Generating processes promote development, while overcoming processes control development. By promoting and restraining, systems are harmonized and balance is maintained. The generating interactions of the five elements are like the conception, gestation, birth, and nurture relationship between a mother and a baby. Such element pairs are deeply attached, and together imply success and luck. Fire forms earth (volcanoes, ash, etc.). Metal carries water (buckets, pipes, etc.). Water feeds wood (trees, plants, etc.). The overcoming interactions of the five elements are like the acts of hostility between two sides in a war. Metal penetrates wood (chopping, sawing, drilling, nailing, screwing). Wood separates earth (tree roots breaking up soil/rock). 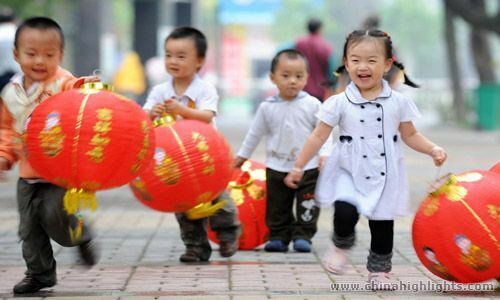 Everybody belongs to one of the 12 Chinese zodiac signs and a 12-year cycle according to the year in which they were born. One of the five elements is associated with each of the Chinese zodiac signs and 12-year cycles. 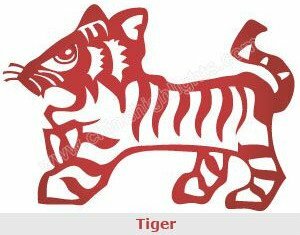 Chinese astrology asserts that personality and luck are determined by both zodiac sign (element) and 12-year cycle element, while life force (or qi) is determined by birth date and time. 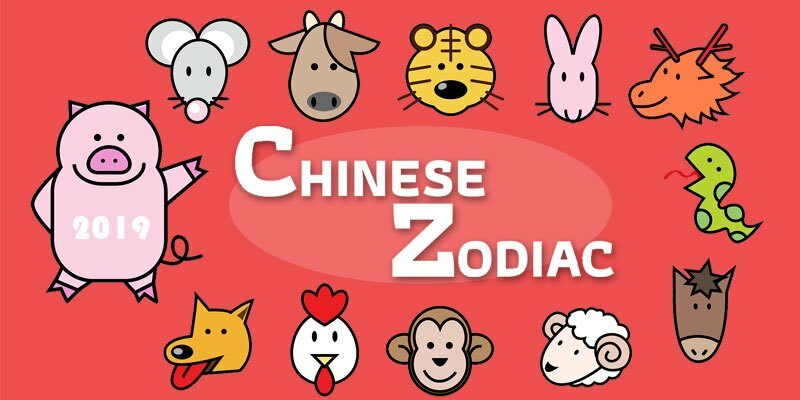 Use the tool on the left to find your Chinese zodiac sign and element. 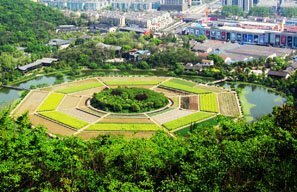 The allocation is because elements and signs are associated with months of the traditional Chinese solar calendar. Each element has a season, except Earth, which marks seasonal change, and is associate with the end month of each season. So 2019 is an Earth year by element cycle and by sign (2019 is a Pig year, and the Pig is also associated with the Earth element). 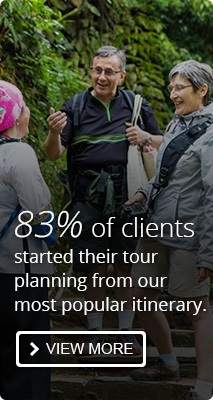 The five elements combined with the 12 zodiac signs produce a sixty-year cycle: e.g. an Earth Dog recurs once every 60 years. A person&apos;s characteristics are said to be determined both by the fixed element of their zodiac sign and the element of the 12-year cycle they were born in. E.g., a Metal Dog (born in 1970) has a personality with aspects associate with both Metal (12-year-cycle element) and Earth (fixed element). Five Elements Theory is the most important part of Fengshui Theory. According to ancient Chinese philosophy, good fengshui will bring good luck. The qi energy of every direction is said to be ruled by one of the five elements. So aligning one&apos;s life with the qi should bring good luck and smooth all obstacles. First you should find the fixed element (lucky element) of your sign, and then find the direction of your element&apos;s energy from the Fengshui Associations table above. Then make use of both the energy direction and the color of your lucky element to enhance your luck. Your sign is the Tiger, so your lucky element is Wood. Wood energy is in the east, so facing east can bring you good luck. It can enhance your wealth, health and longevity. 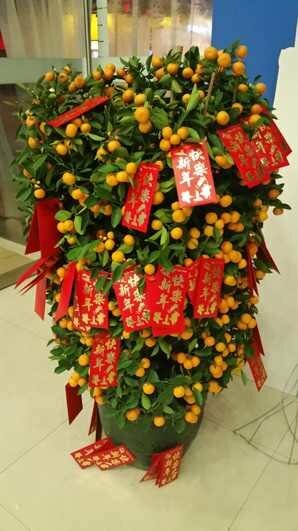 The color associated with the Wood element is green, so you can decorate the east of your house green, or put a green plant in the east, to bring yourself good luck. 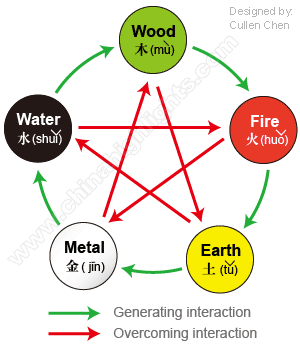 According to the generating cycle of the five elements, Water generates Wood, so you can also add some Water element in the east to enhance your good luck. For example, you could put a fish tank filled with water in the east of your house. However you should avoid putting the Metal element in the east, according to the overcoming cycle of the five elements. Likewise avoid putting the Fire element in the east, as it will consume the energy of Wood.